The best way to explore Iceland is certainly to rent a car and drive across the country, but in case you don’t have much time, there is still a chance to visit unique and stunning places, which are located not far away from Reykjavik. This famous geothermal pool is easily reachable from both the airport and Reykjavik. The water in this hot spring is well known for its healing effects, especially for people with skin conditions. It is a great opportunity to refresh your energy and leave stress behind. The breathtaking views will add special flavour to the overall experience! You can reach stunning waterfalls, ancient caves and geothermal pools by driving only one hour from Reykjavik. There are many places to see in western part of Iceland, but probably the most popular spots are an ancient cave Surtsgellir, which is famous for naturally formed ice candles and columns; picturesque waterfalls Hraunfossar, Barnafoss and Glymur; and the most powerful hot spring in Europe Deildartunguhver with a bubbling boiling water. There are several place for hiking that are not far away from the capital. 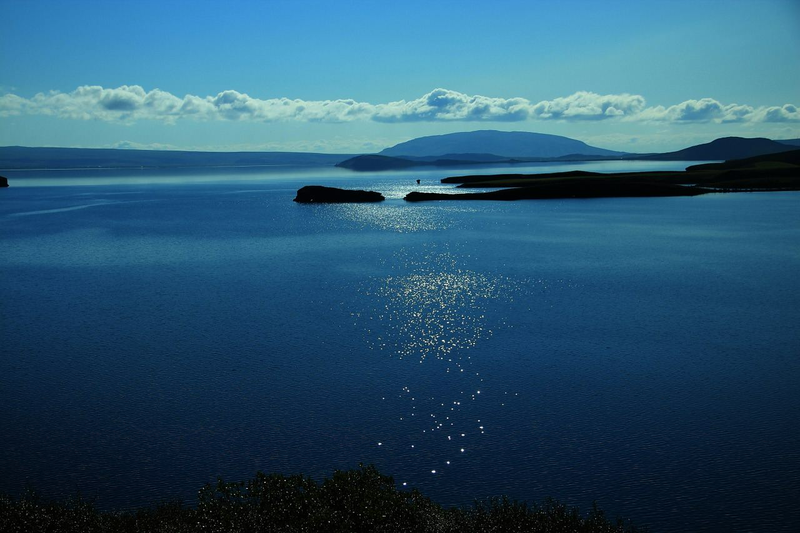 One of the best hiking experience can be found in Hveragerði, which is located 45 minutes from Reykjavik. There is a short, but beautiful trail from Hveragerði to Rekjadalur hot spring. It’s a win-win situation, as after the day of hiking, you will be able to relax and bathe in such a beautiful geothermal pool! Perfect for a day trip. If you have a bit more time, but still don’t want to drive too far away from Reykjavik, Golden Circle is a perfect route for you. It consists of the most remarkable spots in South Iceland and would be ideal for a day trip. Among the most famous places are National park Þingvellir, which became a World Heritage Site in 2004; waterfall Gullfoss, that is also known as “golden falls” due to the colour of the water on the particularly sunny days; Haukadalur valley, which is well-known for its geysers and breathtaking landscapes. In case you don’t want to leave the capital, there are plenty of places to explore in Reykjavik as well. You can read here about the most popular spots in Reykjavik and here about the most popular hipster places in the capital.